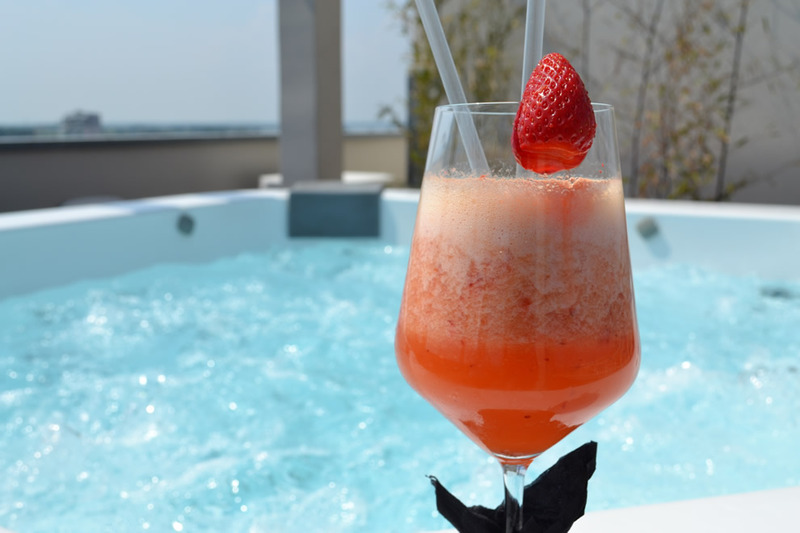 A real "Boutique Hotel" is located in the central area of Lido di Jesolo, open from Easter to October. The Hotel Bali 4 stars is a small “Boutique hotel”. It is the youngest hotel in Jesolo. 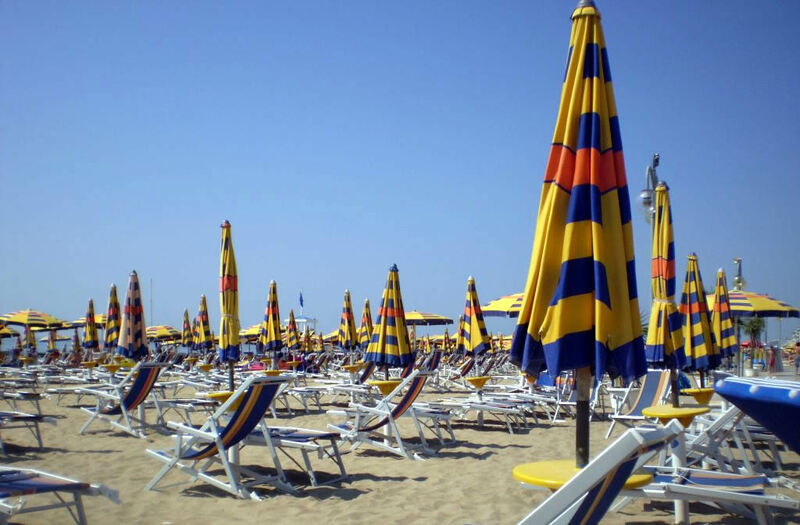 It is located in the heart of Lido di Jesolo, in a quiet position, direct to the beach, sea front.It is directly connected with the beautiful Marconi square and with the biggest shopping street in Europe. The hotel offers its clientele an intimate and welcoming atmosphere and our strenght-point are comfort and courtesy. The panoramic lift also leads to a terrace on the 8th floor with Jacuzzi and beach chairs, sourrounded by a breath-taking view over the City and the Sea. A panoramic lift connect the hall with the rooms, all with a magnific view to the seaside and provided with every comfort. 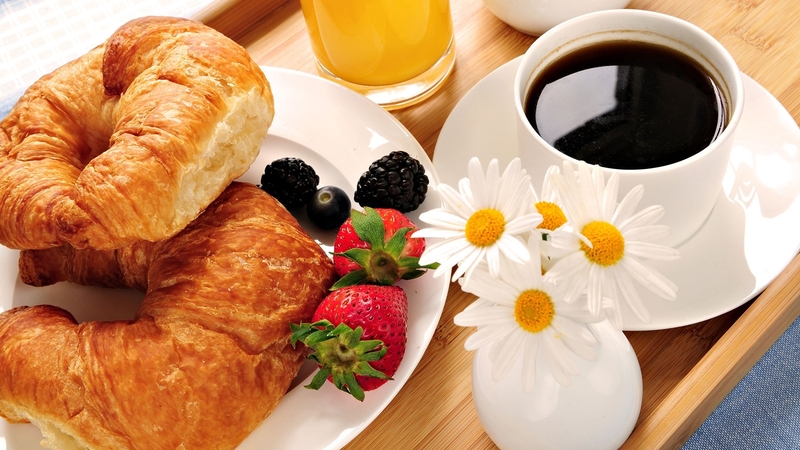 The breakfast buffet,with its wide assortment of items, guarantees the warm fragrance of pastries every morning accompanied by typical Intercontinental breakfast selections. 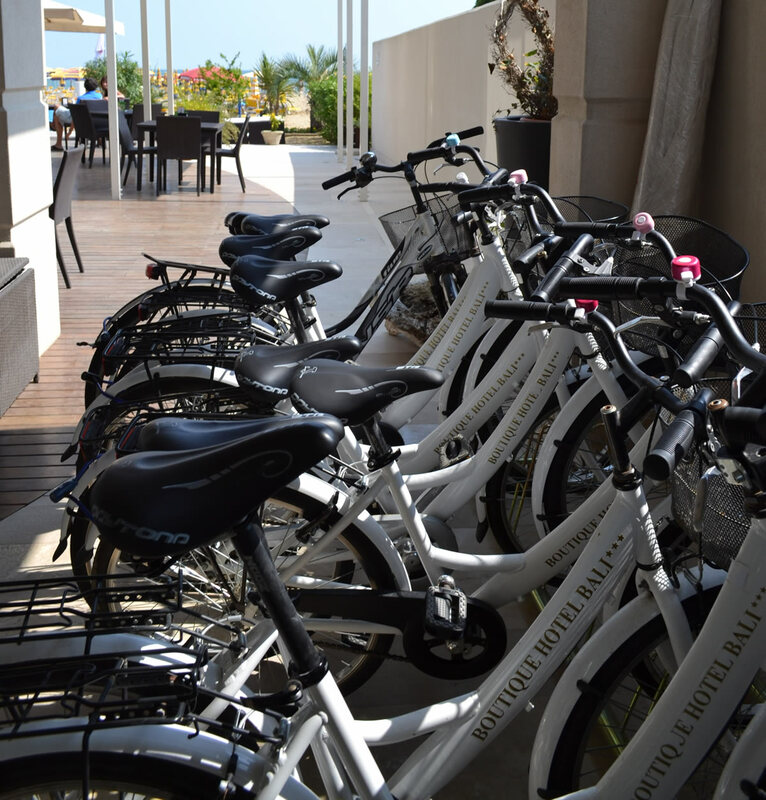 Free bike rental and free parking at 500 metres from the Hotel are also available. The Hotel Bali is located directly opposite the sea. Ideal for those seeking relaxation and tranquility is also the perfect place for those who love shopping and entertainment. In fact, not far from the hotel via Bafile, that during the warm summer evenings it turns into a pedestrian, the longest in Europe, ideal for those who love shopping. The hotel's location makes it a perfect spot for reaching the nearby city of Venice. In fact, the beautiful lagoon city is only 40km and can be reached by bus and by boat.